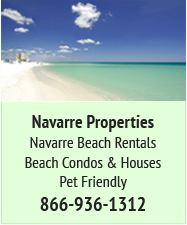 Find and Book your perfect Navarre Beach Vacation Rental for Beach Condos and Beach Homes. 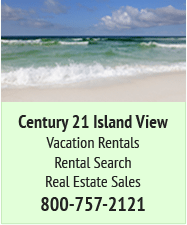 Buy and Sell Beach Condos and Beach Homes on Navarre Beach and the Navarre Mainland. 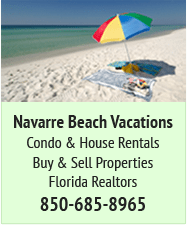 Yea, did "love" the Navarre Holidome! Memories in those pictures. 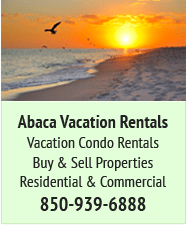 Used to came over from ("don't go in the water") Biloxi when assigned to Kessler AFB in late 1980's. Often a couple or more Air Force families - we all had kids in about the 8-12 year-old range. As stated - there was a lot to do at the Holiday Inn - of course the beach - but if weathered out - the kids had the indoor stuff - pool, putt-putt, Ping-Pong, etc. - and the adults had the bar by the pool! Yep, those were the good ol days. I surely wish someone could or would find the Manager of the Holiday Inn back then or the Assistant Manager. There are some questions I need answered and only they apparently can answer them. I was too young for the bars so I have no memory of those. 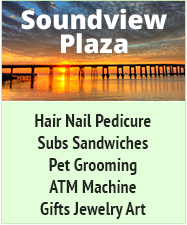 What I remember is the pizza place called "The Yellow Submarine" and, of course, the arcade. Video games were just becoming extremely popular around that time so I spent a lot of time (and quarters) in there after dark. Every minute of the daytime was spent on the beach and in the water! I am with ya Dolfnfan. I remember those days well where we never even went inside and if we did, it was only to eat lunch. Conversely, over the past 5 years or so, the group we come down with every year has 5 kids total...well 6 with my daughter. Of those 5, three are males and one just graduated from High School and is going to Oklahoma and the other two will be Seniors this year. For the past two trips, those three males stayed in the house the vast majority of time, playing video games and looking at their stupid phones. Last summer, they would venture out to the beach mid morning for 30 minutes or so and then bam...back up to the house. They said it was boring on the beach. Are you freakin kidding me? Electronics, in my opinion have not only contributed to the obesity of this country and kids but they have made these kids zombies and slaves to the electronics. awesome photo and stories behind those. thx for sharing.